It has been a while since I reviewed a desktop unit and with the ever-increasing quality of mobile gear it is becoming less of a feature for us at Headfonics but having said that now and then we do receive units that we think are worth talking about, especially with high-end headphones. NuPrime under Jason Lim, former head of NuForce, is one such desktop manufacturer who has caught our eye in the last year or so with some excellent DAC’s and headphone amps that I believe punch a bit above their fiscal weight, i.e. 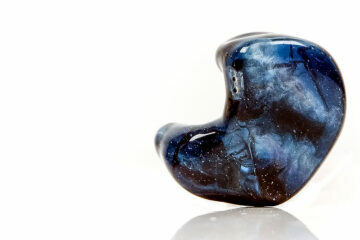 they offer good value to the audiophile. The DAC-9, along with the HPA-9 amp, was just released at the turn of the year and at $749 they are definitely classed as mid-fi and pitching against the likes of the Schiit Gungnir. You have to dig in a little to the history of NuPrime to understand the context of the DAC-9 release and price point. Before the launch of the DAC-9 NuPrime were heavily touting the DAC-10H as their flagship DAC/AMP combo and boy what a beast that combo is. Sporting Sabre ES9018K2M 32-bit audio, decoding up to 384 kHz and DSD64 to DSD256, single or balanced outputs from a very pure and clean amp and enough power to make even the Hifiman HE-6 sound very happy indeed. We will have a review of that one out shortly and it is stunning. The DAC-9, on the other hand, draws from a lot of that technology in the DAC-10H but strips out the amp component (HPA-9) much like the higher end DAC-10 as well as taking out the Sabre DAC design and shifting instead to an AKM4490 EQ 32-bit stereo DAC implementation. The pitch here is to offer something a little different to the sound signature of the DAC-10 without losing any of the headline capabilities of its bigger sibling. So that means you still get up to 384 kHz and DSD64 to DSD256 sampling rates, balanced and unbalanced inputs and outputs, a pre-amp, a phono stage, ability to handle BT and wireless (modular), a full range of digital and analog connectivity for PC and traditional Hifi. This time, NuPrime have setup this slightly smaller package to be the musical brother of the more neutral and pure sounding DAC-10. This is pitched as a slightly warmer and more forgiving DAC component that shared many of the most important features of the DAC-10 but slightly stripped down to achieve a more competitive price. The DAC-9 is a compact desktop unit coming in at 235 mm W x 281 mm D x 55 mm but it is beautifully built and very solid looking. It has stackability also with the matching HPA-9 amplifier being of the exact same dimensions and form and they do look very good together as a single stack. The DAC-9 comes in a black or silver anodized aluminum finish and lacking in any noticeable body flex issues. My money is on the silver finish as always. It just stands out that bit more from the background and the lovely angular design cuts looking more prominent on the front panel in silver. My only issues in the overall build quality are the bog standard star screws on the sides of the DAC-9 and the front panels labels. The screws take away a little from the general aesthetic and the rather washed out labeling colors on the front make it a little hard to read even from mild from angles. NuPrime has done away with the bottom row of button selection options found on the DAC-10 and DAC-10H and opted instead for twin dials both left and right for the majority of onboard controls. What you select will be displayed in the central console which is not LED panel based such as you would find on the Oppo HA-1 but instead an LED light array behind a series of pinholes embedded in the front panel. Here you will get information such as input selection initially before switching to the current sampling rate being handled during playback. If you are using the DAC-9 in preamp mode, you will also be able to monitor your volume levels from this central console much like the DAC-10H. I am in two minds about the console display with the DAC-9. On the plus side it is a lot more durable looking than a GUI panel and certainly more sophisticated than the Gungnir front panel but on the negative side viewing angles are tight, very tight indeed compared to a conventional LED panel making it hard to read in dim light. If, like me, you have a setup that places some components a little bit further than my couch challenged hands can reach then NuPrime have helpfully thrown in a basic slim line candy bar style remote control with all the basic features selectable. This includes power, display on and off, pre-amp volume mute or control and input or output selection. It is nothing fancy but well appreciated and for those who own the DAC-10H and its surreal dynamite stick style remote this one feels a bit lot more slick. All of the DAC-9 inputs and outputs are housed on the rear panel including it switchable power supply to the far left. Note though the switch from 110v to 230v is actually housed on the underside of the main chassis so please do always make sure you check your selected power supply matches your wall warts specifications before turning it on. The rest of the rear panel is split between an array of inputs and outputs. Analog outputs include a single set of balanced XLR and unbalanced stereo RCA as well as a single optical output should you wish to daisy chain. To the right side analog inputs include a single set of RCA unbalanced inputs and a single XLR based balanced AES input. For digital inputs, the DAC-9 sports a single USB, coaxial and optical input as well as an extension port for the BT and wireless modules. There are two major internal design features of the DAC-9, the DAC component itself and the pre-amp capability. 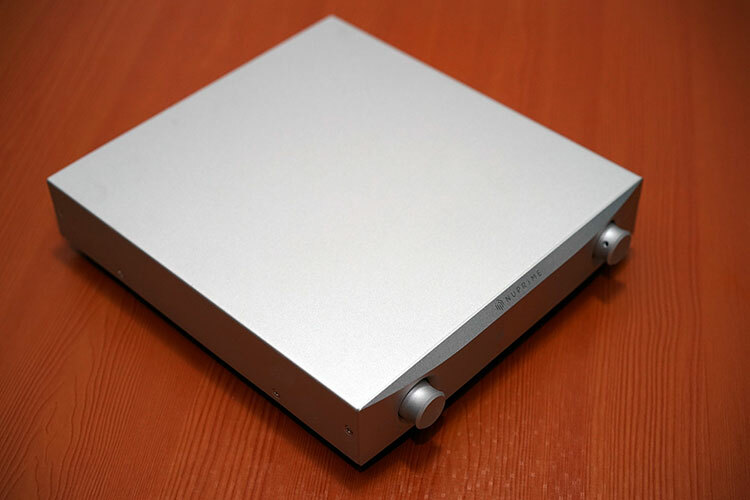 On the flagship DAC-10H NuPrime opted for the Sabre ES9018K2M which is a well-regarded 2 channel chip noted for a low power draw, used in plenty of high-end DAP designs and is capable of yielding up to DSD256 decoding should you need it. It is also known for being yielding a natural to neutral clean tonality in most of its implementations with a focus on detail for critical listening. It is a flagship for purists in many respects and lacks any major coloration particularly when fed into its own integrated amp. For the DAC-9, NuPrime wanted to bring something a little bit more musical and colored to the market than what the DAC-10H offered and as such tapped into AKM’s VELVET SOUND architecture instead of Sabre. 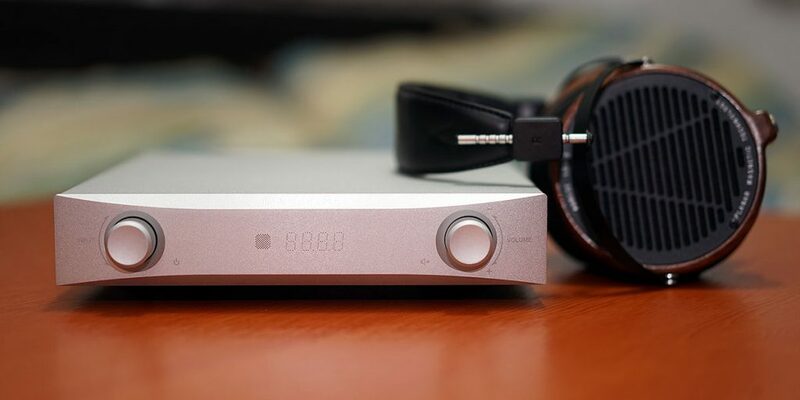 To achieve this change in tonality NuPrime designed the DAC-9 around an AKM4490 EQ 32-bit stereo DAC which is also a very popular chip design used in the likes of Cayin’s new i5 DAP, the AK380 from Astell & Kern, as well as desktop units such as the TEAC UD-503, the new Schiit Bifrost and the forthcoming Amare Musica DAC. Whilst it does not quite have the same dynamic range as the Sabre ES9018K2M it does provide a very respectable -112dB as a DAC with 120dB S/N overall compared to the ES9018K2M 127dB. It also has similar decoding capabilities as the Sabre variant meaning the DAC-9 can offer decoding rates of up to 384KHz and DSD256 with native DSD decoding onboard via USB. With some configuration in the design, NuPrime has enabled the DAC-9 to also deliver DoP formats via it’s coaxial and optical input instead of the standard 24/192. The EQ in the product name of this chip means it can offer up to 5 digital filters, something which Cayin deployed in their N5 DAP and I presume also in their new i5 as user controllable. Sadly, the DAC-9 does not offer that same level of user control and it is not clear to me if the digital filters are deployed in any meaningful way other than to presume one of the filters is deployed as the stock sound of the DAC-9 in order to achieve the desired tonal reference. Much like its bigger brother the DAC-10H, the DAC-9 utilizes the XMOS USB 2.0 chipset with proprietary drivers for Windows PC units (NuPrime Control Panel) and plug and play for MACs. I actually do prefer the XMOS driver and setup over the likes of C Media particularly if I am overlaying a number of C Media device drivers which historically have provided the odd driver conflict and hellishly difficult to distinguish in your control panel. XMOS has never given me any unusual conflicts and quickly picked up in most of my media software programs. Now the one thing I did note is that the XMOS solution does mean you are “limited” to 384KHz sampling rates via USB which may explain why the DAC-9 is classed as 384KHz capable even though the AKM4490 EQ can sample up to 768KHz. Mind you the costs of producing a setup that sounds just right at 768KHz are simply pointless even if you offer up future proofing as a viable excuse. I do not think this sampling rate will ever reach the light of day in commercial use at a consumer listening level in the near future. It’s a moot technical point in all honesty. This built in USB receiver (the latest version) requires far less external components in its implementation, contains built-in voltage regulators filtered by external LC filters with a more efficient positioning of the clocks for better jitter control. NuPrime has also implemented FPGA processing to further maximize that jitter control by upsampling to megahertz before down converting to the targeted rate during playback. Much like the DAC-10H and DAC-10 the DAC-9 can act as a pretty solid pre-amp in your system chain. Volume control is either through a stepped type attenuator on the front panel or through the remote control. The digital steps are measured at 0.5dB per step and get you get 99 steps in total to play with. Volume control on the pre-amp capability of the DAC-9 is also FPGA implemented and not built into the DAC chip itself which is more common in standard DAC implementations. The DAC-9 design deploys a thin-film switched-resistor ladder network (the FPGA part) with just a single resistor in the signal path right throughout the volume range. The attenuator circuit at the heart of this design is the Muses 72320 made by New Japan Radio Co., Ltd, the same company that does the mighty fine MUSES 02 opamp and is an electronically switched resistor normally used in rather expensive pre-amp setups. Simply put, this is not a cheap chip to acquire. Great soundstage, vocal and musical performance. It was a great add to my audio gear. Its a lovely musical sounding DAC. NIce review. Though measurements would be great to truly round out a professional review, I’ve found that your description of the DAC9’s sound is quite accurate. The only detail I would add is that the soundstage is not as well defined, probably due to the high freq rolloff filter that they employed with the 4490. However, that really allowed this unit to serve as a great Rock and Metal DAC/Pre. I don’t find much within that genre to provide a soundstage anyway. For Jazz and Fusion, it does a completely adequate job, while retaining the timbre of instruments. Quite nice. Thank you for those kind words and glad to see you are enjoying the DAC-9. 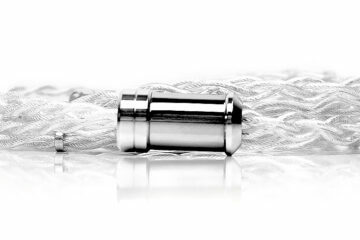 I agree it’s a great rock and metal DAC, a nice contrast to the detailed but uber analytical DAC-10. You have seen this happen on DAC-9’s? No , I have seen it on Musical Surroundings gear and twice on M Dacs. The M Dacs look to have identical jacks as DAC-9s. If in fact NuPrime has a better jack I deeply apologize and ask you to please pull my comments. Sorry about that. My concern is valid though on many offerings out there. Its ok, a worthy debate, no issues in keeping it there in case it crops up again.